Friends, it is 2018. Gaming is more platform-agnostic than ever before. Console makers like Sony and Nintendo still make their exclusives, but third-party games ranging from shooters to niche Japanese RPGs come to PC now. Arcade racers, too. We know Onrush is coming to PC (eventually), but the delay still stings – as does news that console players will be enjoying an open beta this month. Spend your wait playing the best racing games on PC. PlayStation 4 and Xbox One owners will have access to the open beta on May 17, lasting through the weekend until May 21. Digital pre-orders on PS4 will additionally net early access to the beta on May 15. The beta features the in-game tutorial, “Superstar Practice” mode for single-player and co-op, as well as 6v6 multiplayer featuring two tracks, two modes, and four vehicle types. 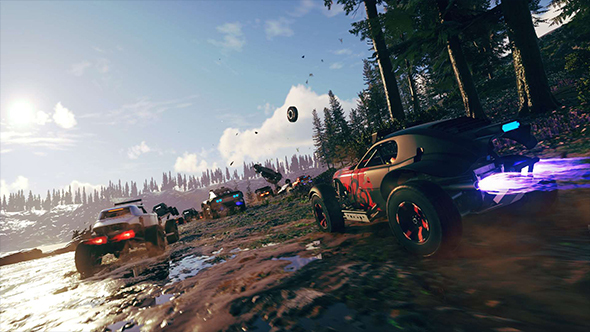 Onrush launches June 5 for consoles, with the PC version coming an unspecified amount of time later. So we’ll add this to our forlorn list titled “waiting on PC port,” joining the likes of Monster Hunter World and Red Dead Redemption 2. You know, the spot where we all pretend to not also own consoles for situations like these.